You all know I'm a big fan of Canva, a great online tool that allows those authors who are not Photoshop pros to create decent-looking book covers for free. Disclaimer: if you have any budget at all for a book cover, buy or commission the best you can afford. After actually having a decent book, a good cover may make the difference between succeeding and failing. It is one of the best investments you can make. 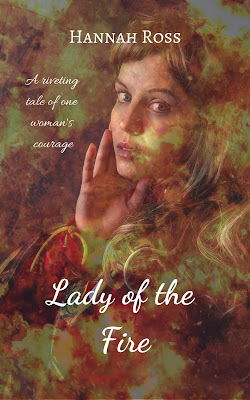 If, however, you do need to design your own covers, Canva can be a lifesaver. I don't believe you need to wait until you make enough money to publish a book. You can publish with a decent cover, make some sales, and then funnel your earnings into a re-launch with an awesome cover that will take your marketing to a whole new level. So let's begin. For me, it usually starts with Pixabay, the safest and least confusing image source. 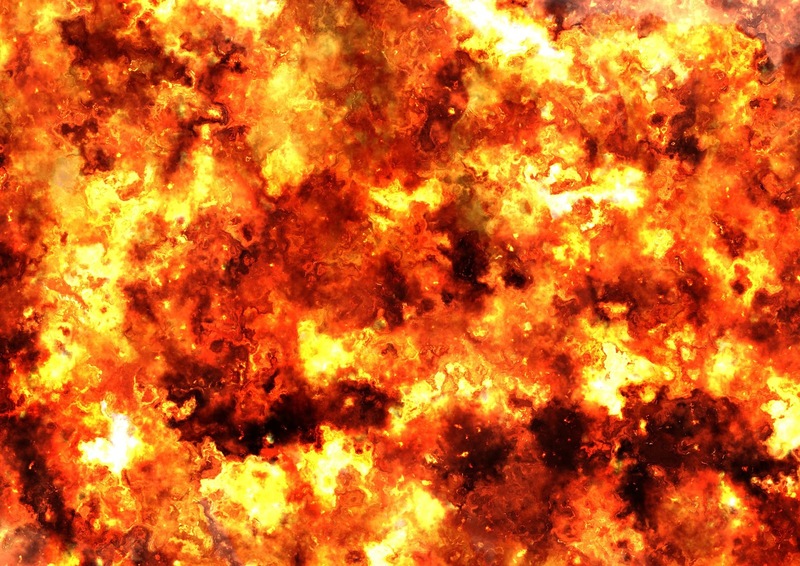 You can freely use any image there for commercial purposes. Of course, someone else might have used it in a book cover already, but that's the case with all stock photography, even if you pay for it. It appears that my best option in this case is to make the woman's image semi-transparent and layer it over the fiery background. To do that, I go to Canva, choose the book cover design option, and upload both images. As I adjust the sizes and placing, I select the lady's image, press "Position" and choose "Forward". This means that the fire remains in the background. Then there is the fading checkers image. These are the transparency settings. I play around with them until I'm satisfied and adjust both images over each other until they merge perfectly. The semi-transparency of the front image adds a touch I really like. I could play with the fonts some more, but this will do for now. I hope you found this tutorial useful! Please feel free to share. 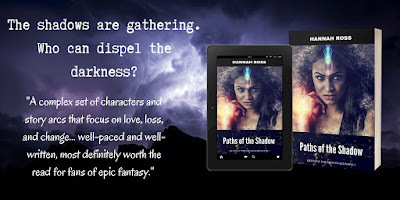 After considering the pros and cons of this for a while, I finally pulled Quest of the Messenger from KDP Select to wide distribution and made the first book of the trilogy, Paths of the Shadow, permafree. Some authors firmly believe in the principle of "zero price = zero value", and are offended by the mere idea of giving their book away for free, but I disagree. As a matter of fact, this ability to make a book permafree and not worry about setting up free promotional days once a quarter, was part of what swayed me in the direction of going wide. 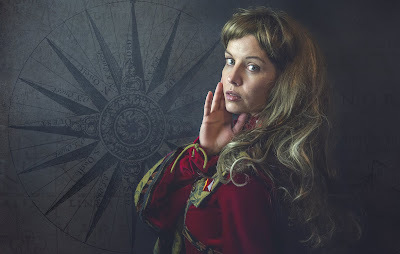 The concept of taking something you have poured blood, sweat and time into, and just offer it for download, may rankle when you only have a book or two out, but the more books you publish, the more it makes sense. There's nothing like offering the first in a series (or a stand-alone book that is one of several in a similar setting) for free to funnel new readers to buy the rest. This tactic is successfully used by those people who promote new products in supermarket stalls, as well as by dope dealers - give a free sample to get people hooked so that they will pay for the rest. 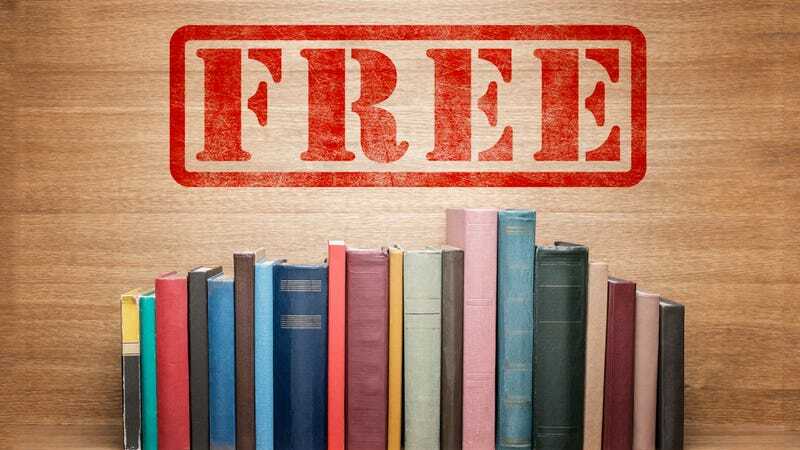 Naysayers will claim that people who download free books are only looking for freebies and don't often bother to read what they grabbed anyway. But if a series has been sitting on a shelf for years and doesn't get much traction, the chance of getting some readers - even without getting paid - is better than nothing. If you get a 1,000 people to download your book, 100 of them might read it, 10 might like it, and one might love it so much that they become your diehard fan and buy all of your books, give you a bunch of glowing, genuine reviews and recommend your book to others. It's all about numbers - the more pebbles you throw into a pond, the more ripples you create. 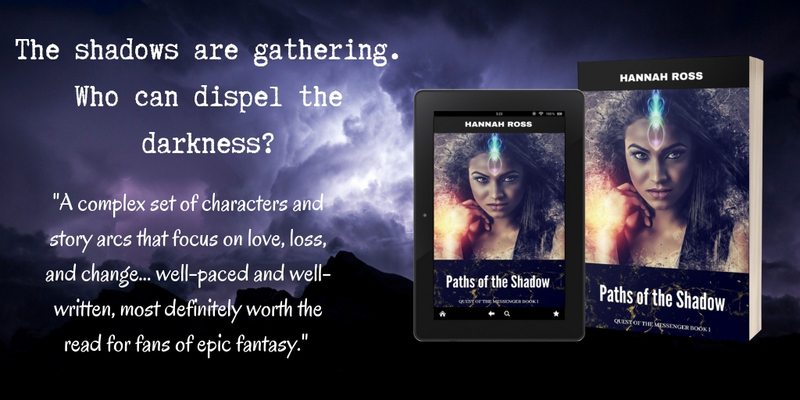 So if you like epic fantasy, medieval settings, dark magic and lots of intrigue, go ahead and grab your copy of Paths of the Shadow. You know those heart-warming statements by successful authors who say, "I would never have been able to get to this point without my spouse/family/significant other. Their support meant everything to me along the way"? This is great, it really is. I'm always happy for authors who had that support from their nearest and dearest while they were clawing their way up the rocky, lonely path from first draft to publishing success (whatever success means to them - a trad publishing deal, critical acclaim, a significant income stream). But what you don't often hear, despite how common it is, are experiences such as, "My wife would pull faces and come up with random to-do lists every time I sat down to write, and just couldn't stand me 'wasting my time' like that. Whatever I have achieved, I have achieved despite her lack of support and appreciation." A fellow author once told me, "My husband and kids complained constantly that I never paid attention to them. I was always writing, they said. Cooked dinners, housecleaning, and the full time paycheck I made went unnoticed. What mattered was the fact that not every single second of my day was focused on them or serving their needs." Balance, balance, balance. When you're on your own, it means you're also the one responsible for taking care of yourself. If you find yourself hovering over the keyboard with your fingers shaking, bleary-eyed from lack of sleep and faint with hunger; if you find yourself resenting your bladder for demanding relief and your kids for asking, at 3 PM, whether lunch will be happening anytime today, you should probably slow down, or you risk going the fast track to burnout. Few writers at the start of their road can afford to write full-time. I know I'm not even part-way there. But don't give up, either. Carve out every possible moment to write. Make use of those little pockets of time that inevitably occur each day. We all have them; on the train, waiting in line to the doctor's office, or when you catch yourself goofing around on Pinterest. Don't worry about efficiency. Just write a few paragraphs, even on your phone or in longhand. Don't wait for that perfect moment when you're on your computer with a cup of tea at hand, the house quiet and you're at leisure. For more advice on how to find time for writing, check out my free e-book, Writing Tips for Busy People. Make sure you aren't all alone. The online writing community is amazing. It can make the difference between giving up and plunging onward. There are so many people out there just like you, just like me - or people who had been in the same place until not too long ago. A supportive network is worth its weight in gold, and I'm so thankful for it. Once upon a time, I used to work for a real douchebag. If there were a competition for the title of World's Worst Boss, that stinker would take it. I mean it. I was fresh out of high school, and this was my first "real" job. It was the post of a secretary which entailed some simple administrative tasks like filing, answering phone calls, and making coffee. It didn't take me long to figure out that my boss was a crook. 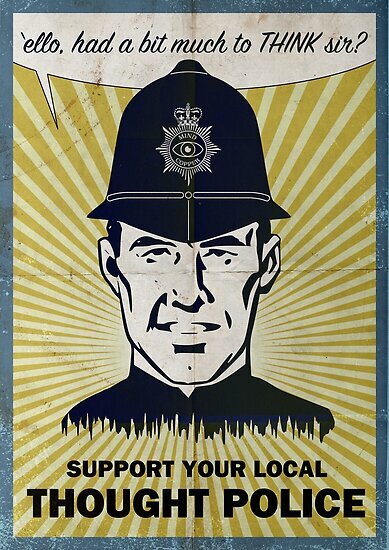 I was besieged with phone calls from angry people to whom he owed money. I was instructed to say he's abroad every time. When an important client came for a visit, I was requested to put on a show to make them believe that more people than the three or four of us worked in the office. I was made to "dress-up" empty desks like active work spaces, with landline phones and masses of papers. This propensity of cheating people was not limited to outsiders. The salary we settled on was ridiculous in proportion to the number of hours I put it, but somehow, at the end of the month the paycheck showed an even lower number, and he "had no idea how it happened". 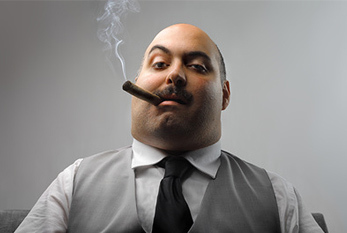 If that isn't enough, my boss was an arrogant, presumptuous, ill-tempered bully. He drank twenty cups of coffee a day, and was particular about always wanting to drink from the same cup, which I likewise had to wash twenty times a day. He yelled at me when I dared to serve him coffee in a different cup. He yelled at me when I didn't answer the phone fast enough. He didn't have the basic decency to maintain a tidy working space. He was a chain smoker and his ashtray was always overflowing. To top it off, this disgusting blown-up fart refused to step into the elevator together with the cleaning lady, claiming that "she stinks". He stank himself - like a million week-old stale cigarettes. By the way, the cleaning lady came to ask about her payment again and again, too. He swindled that poor woman who was working for a minimum wage and had a family to feed. You will be glad to know that I left his office at the end of two months, never to see or hear from this ugly swine again. He had given me a lifelong acute aversion to dishonest crooks who abuse their authority. While my former boss was a humongous cowpie, however, I sometimes have to stop and wonder if I'm being a much better employer to myself. As a freelancer, and thus my own boss, am I giving myself fair working conditions, a fair wage, and fair prospects? With no one to breathe down our necks, it's easy to loaf on Pinterest... but equally easy to succumb to burnout. So fellow indie authors, just a reminder: put in the work, but don't burn yourself out. Take that walk. Have that cup of tea. Unplug from social media. Catch the moment when you are just spinning your wheels, and take a break. Cuddle your cat. Do some knitting. This is a marathon. Be good to yourself to keep your productivity for the long term. The Ethiopian Jews (the Beta Israel) are a living, breathing miracle. It simply doesn't seem natural that a Jewish community could exist for thousands of years in complete isolation from the rest of their brethren, without the support network that every other Jewish community has had, and still adhere to the traditions of their ancestors. They strictly kept the laws of ritual purity as described in Leviticus, and made animal sacrifices, long after these two practices were cast aside by rabbinical Judaism as obsolete without the existence of a Temple. Their religious practice ran along a parallel line, developing its own customs and beautiful liturgy. If it sounds like I love these people, it's because I do. I can't find a more perfect example of the resilience of the Jewish people, who had preserved their identity despite many generations of hardship, privation and apparent hopelessness, and who remained one nation despite being scattered worldwide for so long. The fascinating cultural mosaic of modern Israel can bear evidence to that. 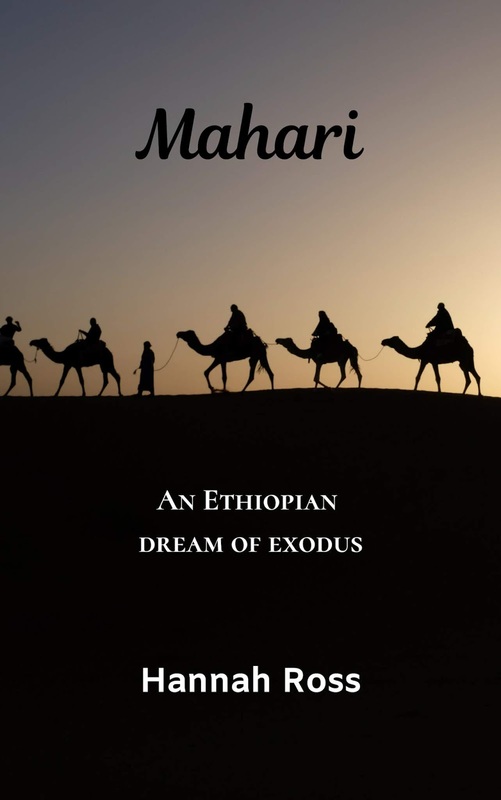 Fascinated as I am with Ethiopian Israelite history, I had long inner debates on whether I dare to venture into it as an author. The vocal pitch of #ownvoices and #notyourstory demands that the ethnicity of the author should match that of their protagonists, which is ridiculous and limiting to a degree I can hardly describe. Finally, I said, Hang it all! I'm Jewish! If someone is part of my people, their story is, in a way, my story too. Thus Land of the Lost Tribe was born. 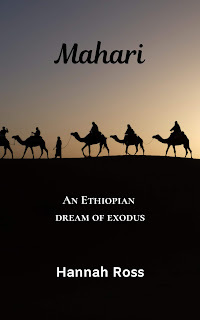 I am currently working on another novel set in Ethiopia of over a thousand years ago, but in the meantime, I let my creative bunnies run wild and produced this complementary short story, Mahari, which fast-forwards a few centuries all the way to 1862. At that time, the condition of the Beta Israel was probably at an all-time low. The glory of their independent kingdom, which at one point ruled over extensive regions of Ethiopia, was long past. Contact with the rest of the Jewish world was nonexistent. Oppression, isolation, hopelessness, and missionaries took a heavy toll, and many of the Beta Israel converted to Christianity, much in the same way as the Marranos of Spain. Abba Mahari, an Ethiopian Jewish monk, was a charismatic religious leader who, in the year 1862, organized and led a desperate but inspiring exodus from Ethiopia in the hopes of reaching Jerusalem. Abba Mahari failed, but his heroic journey helped to keep the dream alive and paved the road to the eventual repatriation of Ethiopian Jews in Israel. You can download Mahari for free in epub format here, and in PDF here. The Blood Heir controversy is a predictable climax to all the #ownvoices, cultural appropriation police and PC culture craze that has been raging in the writing world unrestrained these past couple of years. It's like we can no longer put our fingers to the keyboard without fear of offending someone. For those who haven't heard of this outrage yet, here's a recap: debut author Amelie Zhao was bullied into pulling her soon-to-be-published fantasy novel because some ARC readers decided it was "racist" and started an online shaming campaign. I haven't read the book, but I do know this: it's impossible to create when you have to keep walking on eggshells for fear of hurting the feelings of some precious snowflake. It's like some people are just waiting to spot anything related to race/culture and latch upon it, charging with burning torches and screaming "racism! Insensitivity! Cultural appropriation!" You can't please everyone. It's kind of useless to try. Here's the deal: belonging to a historically oppressed group doesn't give you a carte blanche to make unreasonable demands of ownership over historical narratives. I'm Jewish; I'm not offended when non-Jewish people write about Jews. 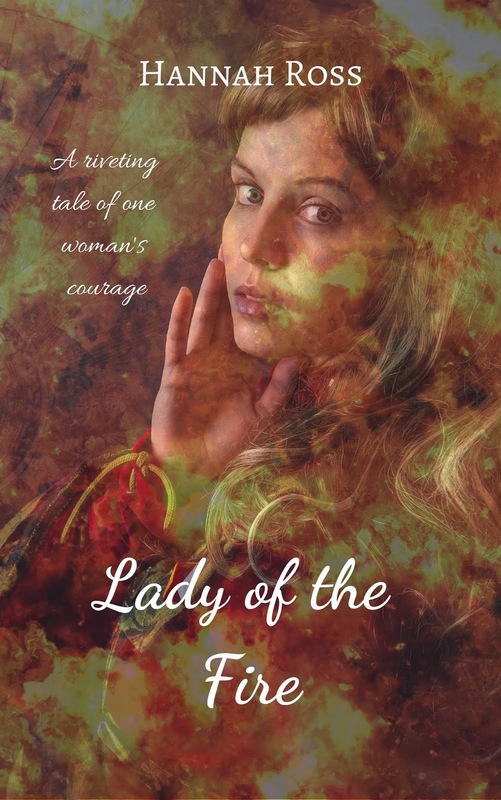 I'm a woman; I don't get my feathers all ruffled when male authors write female characters. Some of my fiction is set in Ethiopia, and I suppose I'm only spared the accusations of cultural appropriation thanks to the fact that my books aren't popular enough to draw fire. I will keep writing whatever the heck I want. I will do my best to be sensitive and thorough in my research, but I won't ask anyone's permission to write. I was drawn to writing for the FREEDOM to create. No one will take this away from me. No one will tell me that a subject is off limits because I belong to the wrong gender/ethnicity. Another issue is the infamous 'representation' thing. Apparently, you can get a red flag not just for what you write, but for what you fail to include in your book. Newsflash: authors don't owe anyone anything. I refuse to make a character black, white, tall, short, gay, straight, or whatever, to 'represent' a group. I write my characters the way they work with my vision for my particular story. I hate racism and oppression of any kind - and that's why I won't let anyone oppress me as an author. I have long been saying that this whole PC obsession in literature is blown way out of proportion. We, as authors, should have the freedom to focus on what the readers want - a darn good story - without dodging rotten tomatoes for failing to support militant agendas. Dragon Diplomacy, my first Middle Grade fantasy novel, is now available in print and on Kindle. It was the last project I had tried to query, and I kept at it a long time, because children's books are notoriously difficult to promote without having the validation and resources trad pub gives. I eventually gave up on finding an agent, which is actually liberating. I can now focus on writing and getting my books to readers. 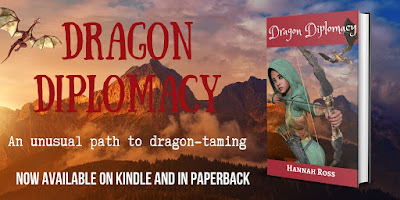 Dragon Diplomacy was written with my children's active contribution, and the reading aloud of each chapter was beautiful family time I can fondly look back on. We also drew the characters and made maps (not included in the book) and thought of ideas for sequels (working on that now). The most important lessons I learned from writing this book are probably, 1) Kid love dragons, and 2) Kids are a brutally honest audience. My daughters had no qualms to say, "this is boring" or "change the ending". I followed their advice, of course. What choice did I have? Are you an artistically challenged author with low to no budget? This post is for you. With us authors, the strong side is usually the written, not the visual. Yet we all need graphics, and I'm not just talking book covers, but also book banners, Facebook and Twitter headers, post graphics, and more. We need plenty of these, we need them regularly, and outsourcing each and every one is not just expensive, but also inconvenient. It is highly useful to be able to log into a clean, simple design tool, and produce a decent-looking banner or header in 5 minutes. That's why I love Canva so much. No other tool can compare with the ease of use and target price (free - not just a few free templates to lure you, but you can actually get by very decently with just the unpaid options). I actually went from wanting to bury my head in the sand every time I looked at my covers and graphics, to having fun designing my own banners, post graphics and, eventually, even covers. Yes, you should absolutely buy a professionally designed cover for your book if at all possible, but if you are on a very low budget and produce several books each year, costs may quickly add up, and you may never make your investment back. I do not believe authors should delay publishing their work and sit around in frustration while they wait to save up for an editor and cover designer, either. There are options. These are happy days as Canva launches its 2.0 version, complete with nifty options I look forward to fully exploring, and a design school for people with no background (like me! ), presenting information in a straightforward, accessible way. There are videos on fonts, alignment, and templates, more advanced series on things like branding, and interactive tutorials, too - and it's all free. Count me in! Free books: a mark of no value or a useful marketing tool? The point is always the same: no price = no value, so don't imply your work is worth zero by giving it away for free. If people want to read your book, they will purchase it. To each their own, of course, but the question is... why would people want to read your book? I'm not being cynical, I promise. It's just that, when people point out that in the Olden Days, we would hear about a book, go into a bookstore and buy it without any incentive in the form of freebies, they disregard the fact that back then, readers did not have as many distractions or as many things competing for their attention as they have now. Even if you have a great cover, an enticing blurb, and glowing reviews, the book market is swamped, and the lure of other entertainment, such as social media and video content, is ever-present. Even I, an avid reader for most of my life, have been recently sucked into hopping from one YouTube video to the next, and forgetting all about the pile of books on my Kindle. Thankfully, I caught this in time and am now making a conscious effort to turn my phone to Flight mode when I read in bed at night, and also to read more paperbacks. What I'm driving at is, if you grab a stranger by their arm and say, "here, I wrote a great book, buy it! ", they are unlikely to do so. But if you say, "here, I wrote something entertaining you can try out for free and see how you like it", you have a better chance of catching that stranger's attention and turning them into a reader and, hopefully, a fan of your work. The 10% or 20% preview won't do the trick. Readers want a complete arc, or they won't bother. This marketing strategy is successfully used by many thriving indie authors, by those people who give away free samples in supermarkets, and by dope dealers. The idea is the same each time: use a free sample to get a consumer hooked so that they get addicted to your stuff and buy it. Check out this article,Why I’m Giving My Book Away For Free For the First Five Days: Typically, someone doesn’t become your true fan overnight. Reading a really good blog post of yours might get them some of the way there, but reading a good book that you wrote will really move the needle. The more copies of my book that I can give away, the more true fans I have a chance of creating. I miss one potential sale now in exchange for the opportunity to make many sales in the future. Free books are a great way to funnel new readers into a series. I have a short story, The Frozen Shore, that I wrote as a prequel to my Antarctic sci-fi series. It was always meant as a freebie, and is serving its purpose well: I have seen a spike in sales and page reads since releasing it. I also intend to make Paths of the Shadow free on Smashwords once I get all my books into wide distribution. Bottom line: free is a strategy that works and, in many cases, works well. Try it and you might be surprised. Grammarly: can it replace an editor? I have refrained from using Grammarly for a while now, in a manifestation of obstinate professional pride: I'm an editor! I do know how to spot mistakes. I don't want to be dumbed down by software that will make me lazy and unfocused. This held up until recently, when I've accepted a long-term position of editing Chinese web novels. We're talking super-long novels originally written in Mandarin Chinese and translated into English by people who are not native English speakers. The result requires some very heavy copy editing and proofreading, and no matter how much of a pro one might be, some mistakes and typos are guaranteed to slip through the cracks, simply due to the sheer amount of them. If you haven't been using Grammarly, you should definitely give it a try. On the other hand, if you've been relying heavily on Grammarly, you should be careful with how much you count on this software to spot every issue. Spoiler: it misses some things. Should You Hire An Editor Or Just Subscribe To Grammarly? Spoiler: human editors and proofreaders aren't going anywhere (yet). Trust me, if those Chinese publishers could get away with only using AI, they would have. "When it comes right down to it, no computer program catches everything. It can’t determine if there are contradictions between information presented in one part of the book and information presented in another part of the book. It also can’t determine whether or not something doesn’t make sense, or is boring. Because of this, if your budget permits, I recommend hiring a professional editor for your book. You can still use Grammarly to clean up your first draft before handing the book over to an editor. That can save you some cash since editors tend to charge based on either the quality of the manuscript or by the hour." Grammarly vs. Human: An In-Depth Review of Grammarly Compared to Professional Editors - some very informative case studies here. "We always want to use professional editors and proofreaders when we're publishing our books. Nothing can replace the editing and proofreading of a human being, especially one who specializes in your genre. However, the messier a manuscript is when you send it to a professional for proofreading or editing, the more it's going to cost you to improve and fix." 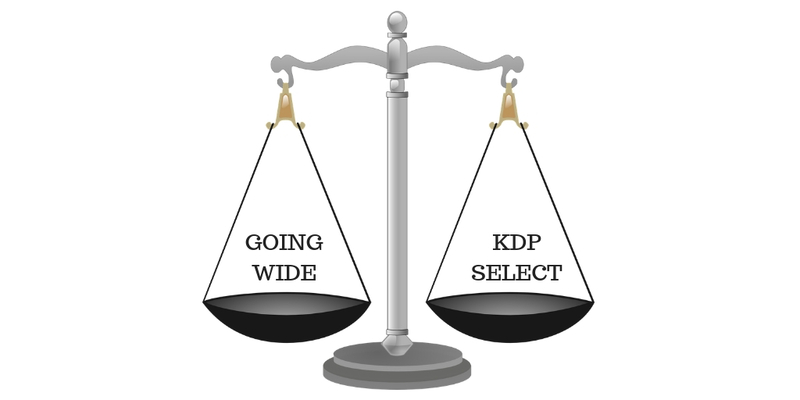 I have a love-hate relationship with KDP Select. More specifically, I love the extra money and rank boost KU reads bring, but hate being 100% dependent on Amazon. I tried going wide before, was disappointed with the results, went back to Select, and am now wavering again. The past year has marked some not so author-friendly changes in Amazon's policy. More specifically, the great behemoth decided taking 30% of our royalties isn't enough; it made paid ads a must to play the game. Can't afford those? Tough luck. It used to be the case that a new author could self-publish a book, put it up on Amazon and be assured of at least a few sales using free tools like KDP Select free days or countdown deals. Most authors used some form of paid marketing, but there were options for those with little to no budget. But in mid-2018, things shifted as Amazon, the most egalitarian of publishing platforms, pretty much became a pay-to-play environment. There's no point lamenting this shift. All businesses have marketing costs and although indie authors had free options that actually sold books for a while, it looks like that time is gone. Joanna's right, of course. There's no point wondering or lamenting that a big greedy conglomerate is getting even bigger and greedier. It's time to think how we adapt. Joanna Penn has stated that only 11% of her income is from Amazon. For many authors this number is close to 100%. No wonder they feel free to play us. Going over my backlist, I realized that, while some of my books indeed have a lot of KU reads and really benefit from being in Select, others have very few page reads and are still in Select just because I never bothered to uncheck the automatic renewal box. So the first thing I did was make sure none of these titles remain in Select after the end of the current 90 day period. It was very timely, too - some of my books have their Select period ending in just a few days, and if I had missed that, I would need to wait another 90 days to un-enroll them. That's another underhanded tactic by Amazon - they don't let you know that the current Select period is about to end, and just automatically enroll your book again, because they don't want you to reconsider your options. So in a few days, I will begin moving my books to wide distribution, and in a couple of months most of my titles will be wide, with the exception of my Frozen World Antarctic sci-fi series, which really gets a lot of KU reads, and the Wild Children series, which is under contract with my publisher. I will be sure to let you know how this venture goes. Book pre-orders: yes or no? First, a confession: I never did pre-orders with any of my previous self-published books. As someone who loathes excessive self-promotion, I prefer to do a big social media, blog coverage and mailing list push once the book is available, and capitalize on the impulse buy factor - I, myself, am a lot likelier to buy a book I can begin reading right away. The publisher for my Wild Children series did hold a pre-order, which didn't appear to make a material difference in sales. * Pre-orders may help you build momentum on release day, when your book gets delivered to lots of people (hopefully) at once. * Pre-orders make you look professional and successful - traditional publishers use them; therefore, making your book available for pre-order is a kind of social proof. * Pre-orders are a way you can tell your mailing list subscribers or the people in your Facebook readers group, "psst! My book is almost here, and you get to hear about it first because you're such a loyal fan." There are no reviews on a pre-order page; therefore, it's your chance to sell your book to people based solely on the strength of your cover and blurb. 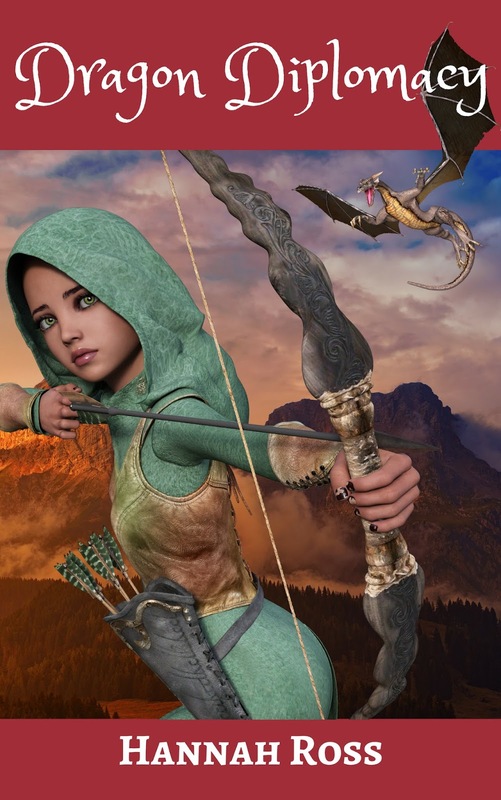 Getting reviews, for me, is like pulling teeth, so if I get a sales period during which I legitimately don't need those customer-given stars, I'll definitely take it, especially as I'm venturing into a whole new sub-genre of Middle Grade fantasy. I am, therefore, happy to announce that the Kindle edition of my very first Middle Grade fantasy novel, Dragon Diplomacy, is available for pre-order now, and will release at the end of the month. Do you set up preorders? Or have you decided it isn't worth the effort? I'd love to hear what works for you!